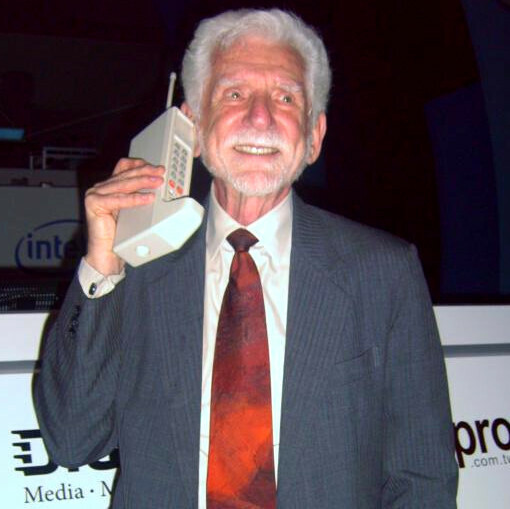 Ever since Martin Cooper, a senior engineer at Motorola, called the rivals from Bell Labs on April 3, 1973 to tell them he is speaking via the first mobile handset, those puppies have had one thing in common - the need to be powered by a battery pack. The first cell phone weighed about three pounds, and gave you just 30 minutes of talk time for roughly 10 hours needed to arrive at a full charge. If you had to pick one device to make battery-free, what would you pick? Today, we are way ahead in those numbers, as fast-charging technologies have brought juicing down to less than two hours, while we can use most phones for a day or two without reaching for the plug. Still, the basic premise that a phone has to have a battery, and has to be charged on a regular basis, stays as valid as it was a few decades ago. There are efforts to escape that paradigm, though, and a recent invention of a cell phone that can make calls without a battery, is an encouraging sign. A research team at the University of Washington in Seattle, headed by Vamsi Talla, has managed to create a prototype which can call by harvesting ambient energy, like with the "passive Wi-fi" tech you see explained in their video above. The research associate at the university's computer science and electrical engineering department has been dreaming about this for years now, and the team targeted cell phones precisely because they are the most ubiquitous gadget we never leave home without. Joshua Smith, the head of the research lab, chimes in: "A cell phone is one of the most useful objects there is. Now imagine if your battery ran out and you could still send texts and make calls." To build the battery-free prototype, the team had to redraw the internals from the ground-up for using the least amount of energy, and goes with analog voice transfer to save on power. It also appropriated an old Soviet spy tech used to listen to US embassy talk by blasting an emitter with specific radio waves that both activated it, and powered it for the duration. That means a base station is still needed for the battery-free phone to operate, but Mr Talla thinks that cell phone towers could easily serve that purpose, and increase the range significantly in the process. Currently the prototype only has buttons to dial and an LED light, but the next edition is prepped with an E-ink display for texting, and better call quality. Good times. After all, it was Martin Cooper himself who announced not long ago that radio charging from afar may be the next big thing in mobile, and looks like he might be right. Again. I wonder if they can use the atmos clock technology for cell phones, that would be dope. I doubt it though. If I could choose one device to make battery-free - I'd choose the Note 7, because I don't want my home to burn down.